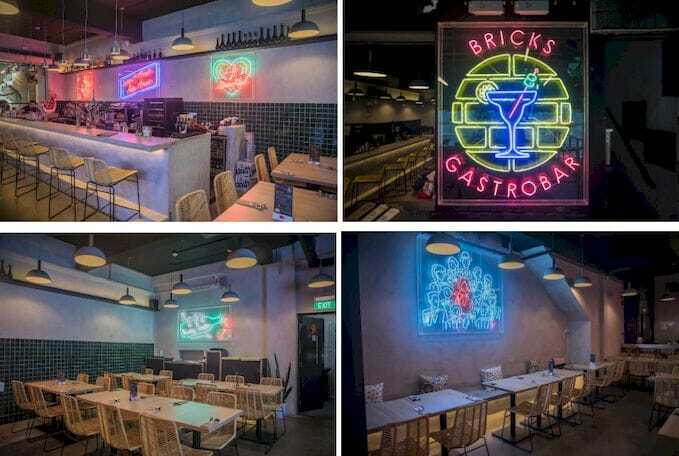 Away from the busyness of the CBD and nightlife hotspots, BRICKS Gastrobar is a homely new watering hole that recently popped up just a stone’s throw away from Great World City. 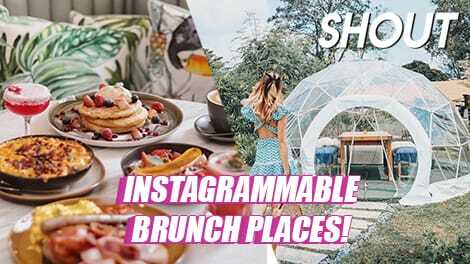 Decked in colourful neon lights and square tiles that give it a vibrant, retro charm, it’s where you can get sick photo ops, comfort food, good cocktails, and some peace and quiet – basically everything you need for casual get-togethers with friends. 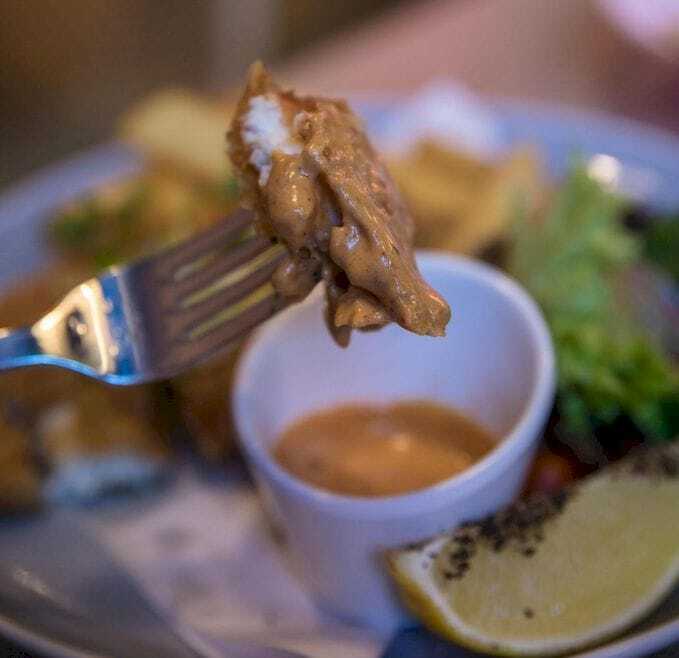 Boasting a wide variety of staple Western and Asian dishes that are handmade, starters include salads and soups, mains consist of crowd-favourites like fish and chips and steaks, while bar bites include calamari rings, various flavoured fries, wings, and yakitori sticks. 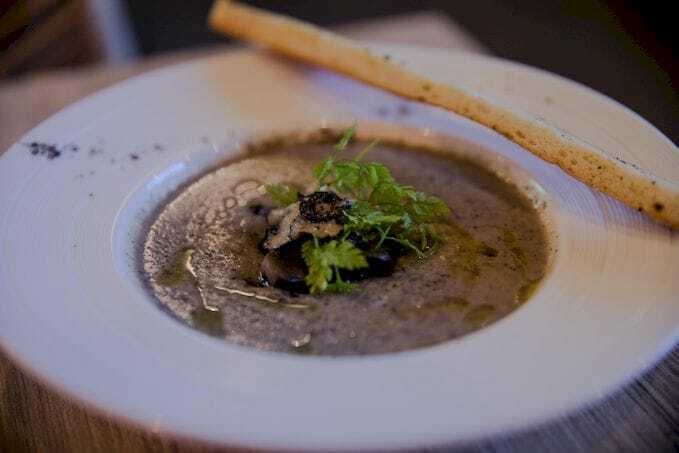 If you’re not sure what to start your meal with, the Truffle Mushroom Soup ($8) is something you can’t go wrong with. Garnished with actual sliced truffle, the soup is more milky than creamy and not cloying at all, just like how an appetiser should be. 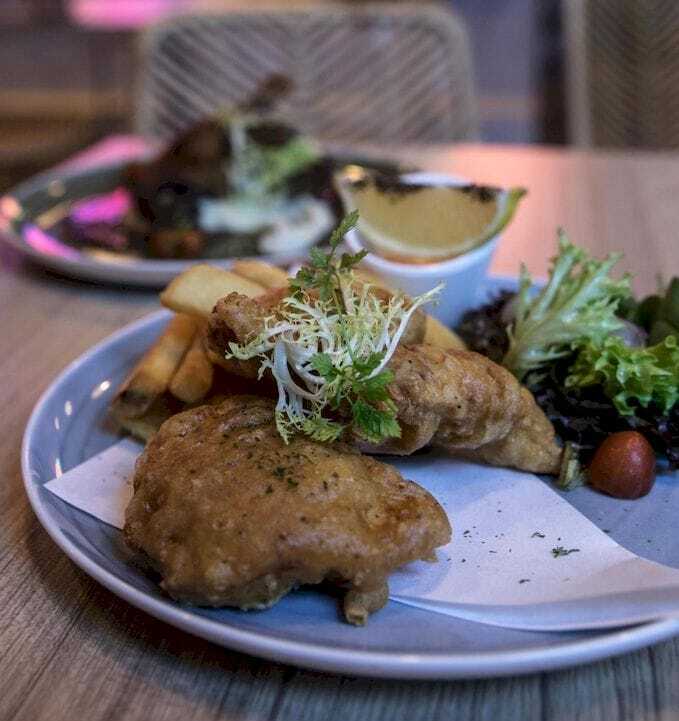 Follow that with their signature BRICKS Fish & Chips ($18), which comes with a side of steak-cut fries, salad, and house-made sweet sambal dip that tastes almost like chilli crab sauce. 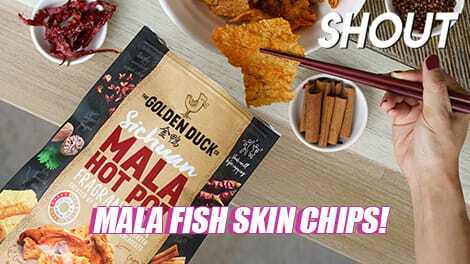 Crispy on the outside and moist on the inside, the fish meat was fresh and firm, and we recommend that you go all out with that highly addictive sauce. 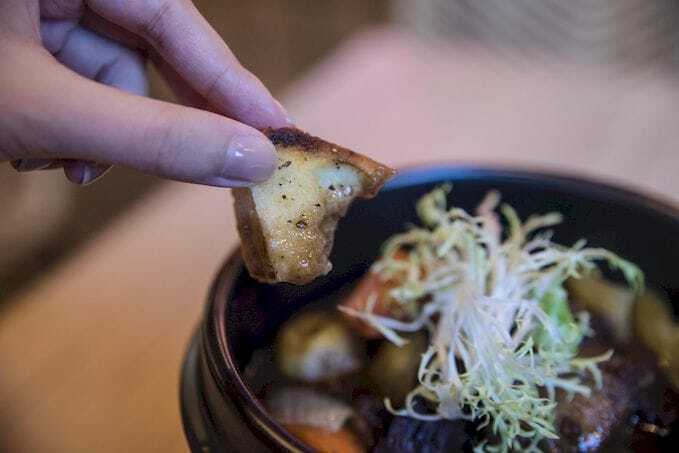 If you’re not a fan of fish, opt for the French Beef Stew ($20), a hearty and flavourful bowl of tender beef cubes, melt-in-your-mouth carrots and potatoes, and a side of toasted baguettes or rice. We actually smelt the dish before we laid eyes on it – that’s how fragrant it was – and it came as a pleasant surprise that it was slightly tangy, which was a refreshing twist for a stew. We ordered the baguette and it was impressively toasted the right amount – crisp and lightly charred at the edges! 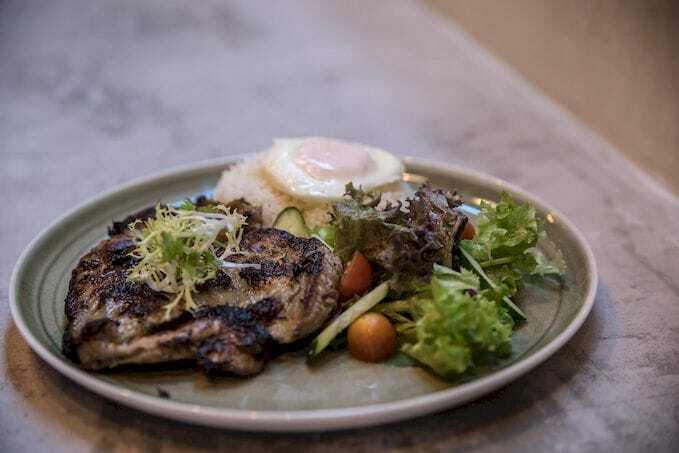 For those of you craving for something spicy, go for the Lemongrass Chicken ($16). 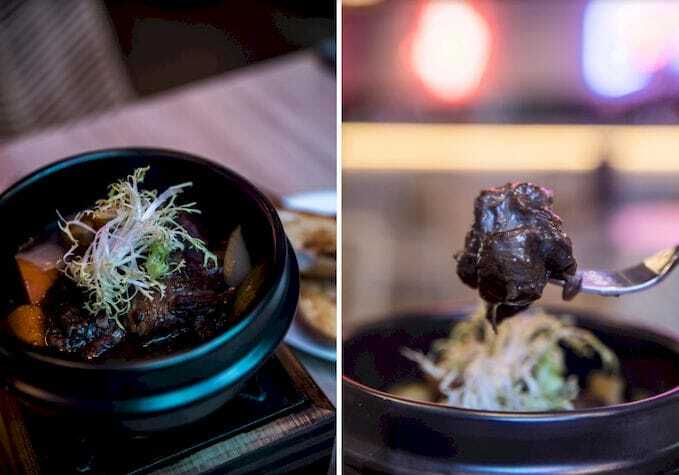 The chefs at BRICKS managed to hit that perfect balance between aromatic and overpowering, and the chicken itself was tender with a subtle charred aftertaste. 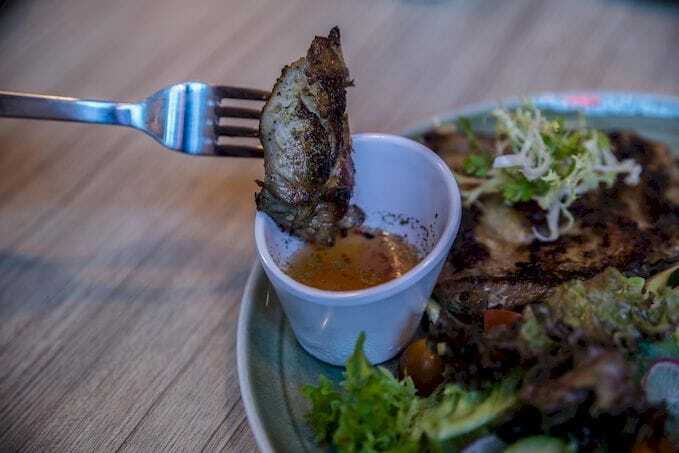 The highlight of the dish was undeniably the Sour Lime Sauce though, which although tasted quite strongly of fish sauce, had just the right about of spice that gave a satisfying kick without making our tongues hurt! 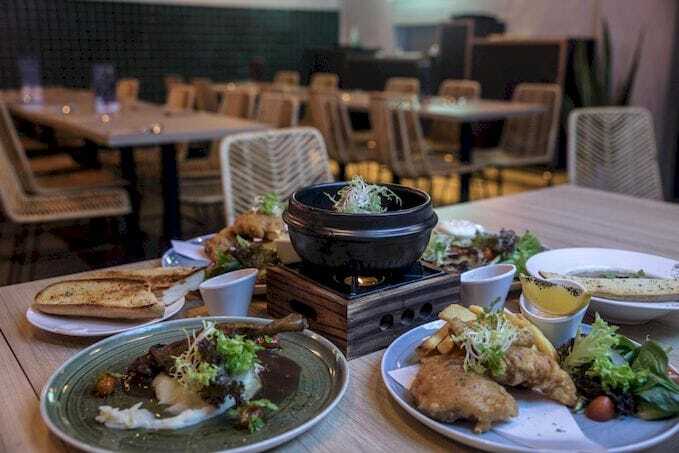 Great for large groups of friends who just want some bar snacks to go with their drinks, BRICKS also serve a Chap Pa Lang Platter ($40) that allows you to mix and match any 5 light bites from the menu. 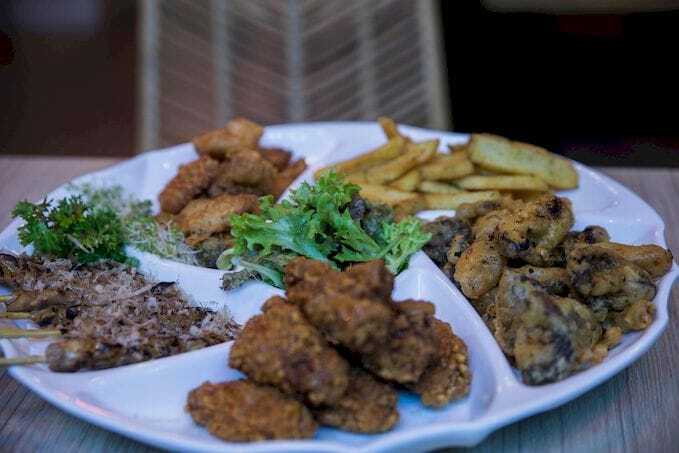 We went for the best of both worlds and got the Battered Mushrooms, Honey Spiced Wings, Chicken Yakitori, Truffle Fries, and Fried Salmon Head, but here’s a tip – don’t get the salmon if you’re feeling buzzed because while it tasted great, it also came with quite a fair bit of bones. 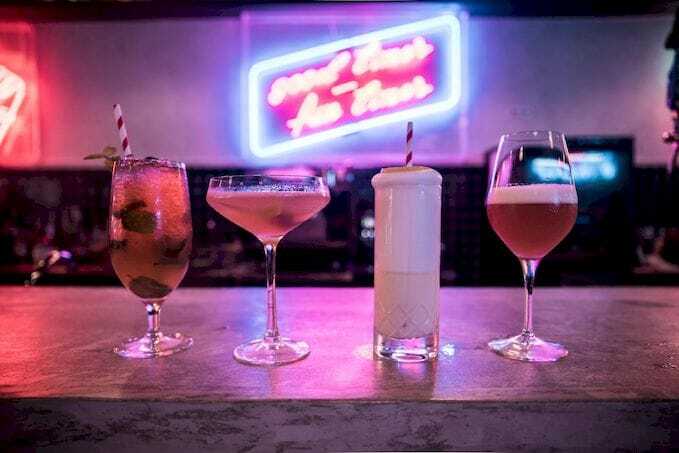 While BRICKS offers bespoke cocktails for those who like to be surprised, their original cocktails are a must-try too, especially if you’re someone who doesn’t have a sweet tooth – most of their creations tend to be tangy! Here’s an added bonus – BRICKS has Happy Hour promotions daily from 4PM – 8PM. 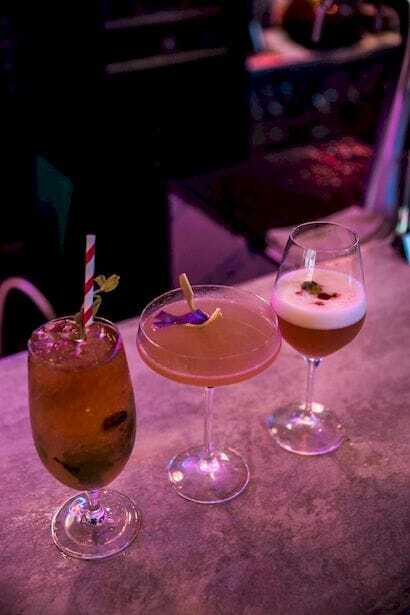 One such concoction is the Golden Opportunity ($14), which is made with longan and wolfberry-infused pisco, a dash of lime juice, and chrysanthemum syrup. 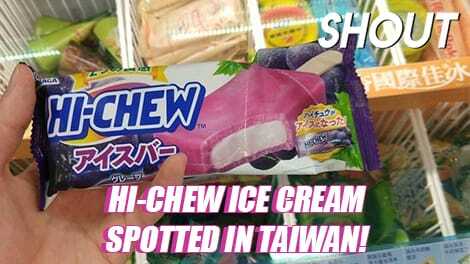 Zesty with a very faint sweetness, it packs quite a strong punch too, so don’t say I didn’t warn you if you’re a lightweight. 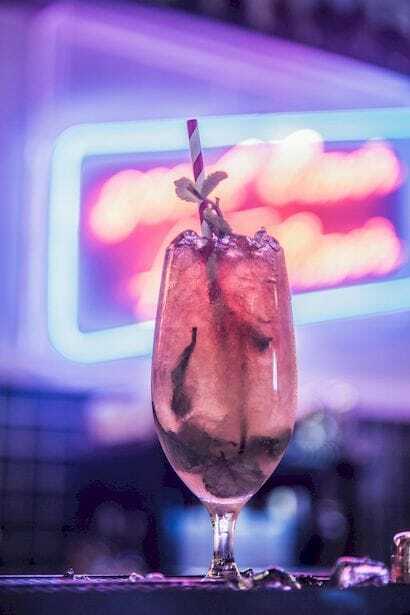 F–k Cancer ($18) is another tongue-in-cheek reinvention of the classic Corpse Revival, which includes the addition of a strong, berry Chambord and elderflower and lavender water to create a very fruity beverage. 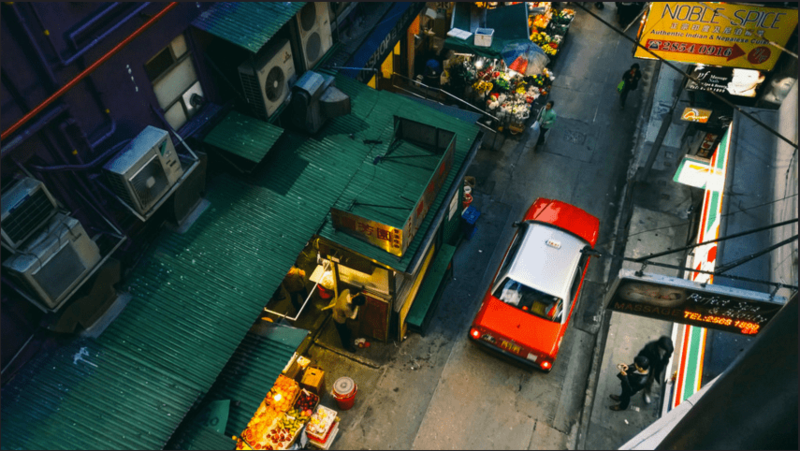 A dollar from each of the proceeds of this drink goes to the Singapore Cancer Society, which is all the more reason to knock this drink back! 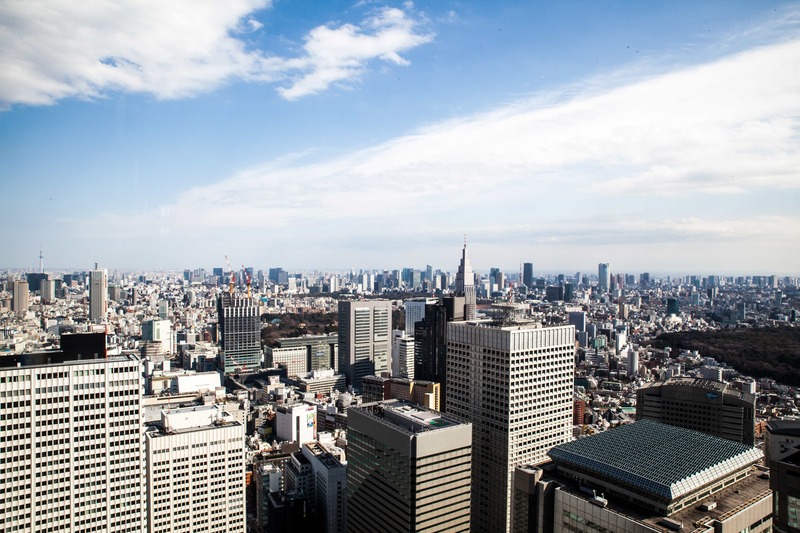 Finally, don’t worry if you’re a teetotaller – BRICKS also has a house mocktail, Citric Iced Tea ($9), which is a refreshing midday pick-me-up made of English Breakfast tea, mint, and a mix of lemon, lime, and citrus. 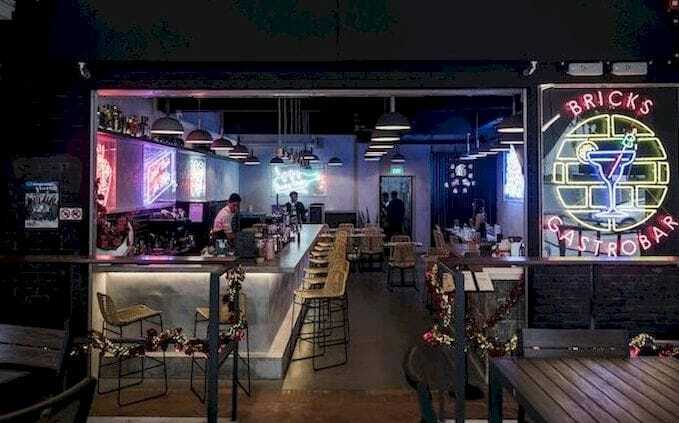 HEYTEA Now Offers Alcoholic BBT & Ice Cream At Its First Tea Experience Bar In Clarke Quay!